Marla Brown, the youngest child and daughter of the Late Great Crown Prince of reggae, Dennis Emanuel Brown, presents the official videoclip of "Better Days", her debut single produced by Royal Order Music and Green Stone Music. Check it out! Track 6 from Protoje's #1 reggae album, Ancient Future, released worldwide on March 10th! Brand new version from legendary reggae artist Don Carlos. "Gimme Your Love" will be released on iTunes and digital stores by Don Carlos Music. Expected Release: Apr 21, 2015. Check it out! Ras Muhamad 's "Salam" is the brand new video taken from his latest studio album called "Salam"...roots reggae vibes from Indonesia...check it out! Randy Valentine's "Wake The Town" is the brand new video taken from "Still Pushing" EP produced by Joe Ariwa releasing May 1st 2015....check it out! With the special collaboration of Fitzroy Dave Green and Dean Fraser. Brand new single for Cocoa Tea! "Stay in school" is released by Roaring Lion Records. "Please support the message to the kids to #StayinSchool, and buy this song on iTunes! All proceeds will be donated to the Jamaica Scholarship Fund. Thanks for your help!" Cocoa Tea. Riddim by Kirk ‘Kirkledove’ Bennett. Mothers want to hear their little son them sing! Sing! Father's want to hear their little daughter them sing! Sing! I said to Stay In School! Child abuse has become a big problem! Mothers love to hear their little son them sing! Stay In School! Father's want to hear their little daughter them sing! Raging Fyah's "Barriers" is the brand new video taken from their latest studio album "Destiny"...roots reggae vibes...check it out! Israel Vibration's "Man Up" feat. Droop Lion is the first single from "Play It Real", the brand new album from the legendary Jamaican duo...check it out! “So Amazing" is the second single off Strictly Roots, Morgan Heritage’s 10th studio album. The album will be released digitally on April 20th, 2015 and physically April 21st, 2015. The Music Video of Rasta Tell Them by Macka B, Produced by Peckings Records, Video Filmed, Directed and Edited by Likkle Minty. Enojy it! Upload your own 10 second happy dance clip on Instagram @Zumba with the hashtags #zumbahappy & #internationaldayofhappiness for a chance to WIN Zumba prizes and more! ROLL THE BASS! The new single off Major Lazer'S forthcoming album "PEACE IS THE MISSION" out 1 june...check it out! 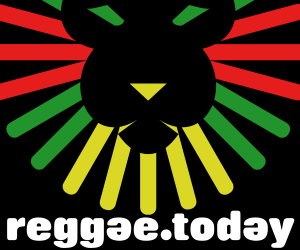 Brand New single from Reggae artist Tarrus Riley! "Honesty" is a cover of Billy Joel, a roots soul reggae tune, produced by Island Tresure. Reggae.Today talks with Michael Rose in Rome (Italy) during his last tour in Italy (Management by High Grade Entertainment - see http://www.highgrade.it/). Check it out!